Mark gives us the most human picture of Jesus, describing him simply as 'the carpenter', and speaks most about Jesus' feelings and emotions. This was the first of the synoptic gospels to be written. Mark learned much about Jesus' life from the great apostle, Peter, to whom he was extremely close. To Mark, Jesus was not simply one of us; he was God among us, constantly moving people to a wondering amazement with his words and deeds. Mark's style is simple and honest, adding statement to statement with the word 'and' in the way that an excited and eager child might, giving a freshness and immediacy unique to his thrilling narrative. William Barclay builds on the infectious enthusiasm of Mark, adding wide-eyed wonder to the stories behind the text. The Gospel of Mark by William Barclay was published by St Andrew Press in October 2009 and is our 9606th best seller. The ISBN for The Gospel of Mark is 9780715208922. 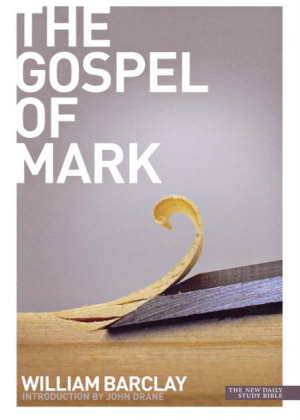 Be the first to review The Gospel of Mark! Got a question? No problem! Just click here to ask us about The Gospel of Mark.